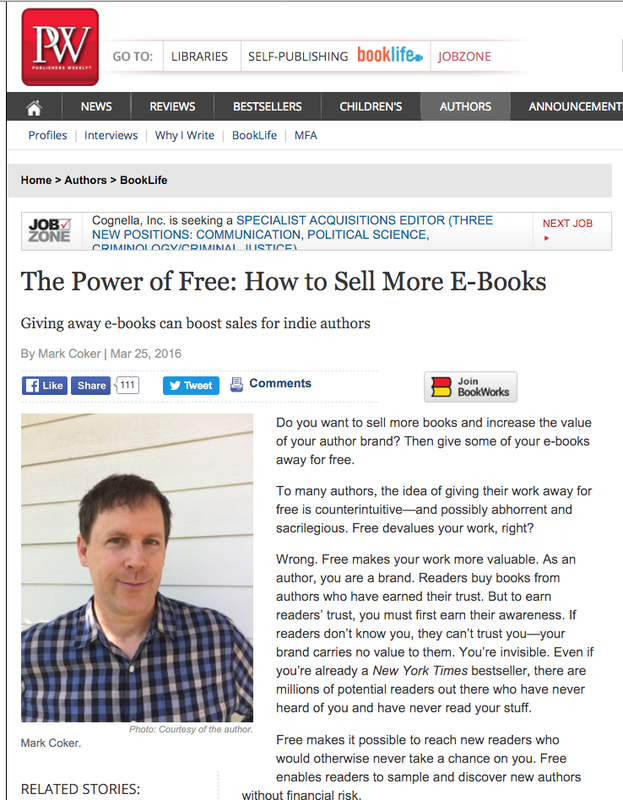 Smashwords' Mark Coker argues for "The Power of Free: How to Sell More E-Books"
It's a really interesting position that Mark Coker puts forth in this PW article. Likening a free e-book to those supermarket samples of a new cheese, as a way of building customer trust that they'll like the new cheese, Mike argues that you shouldn't just give a taste of your e-book, you should give the entire e-book away for free. And, that the longer the book is, the better chance you have (if it's brilliant) of building trust with the new reader who has taken a chance on reading your work. "Free is no guarantee of bestsellerdom. There’s a glut of high-quality free books. At Smashwords alone, we‘ve published more than 60,000 free books. The competition for reader eyeballs is fierce." What do you think of "free?" Laurisa White Reyes' THE STORYTELLERS wins the SCBWI SPARK Award! 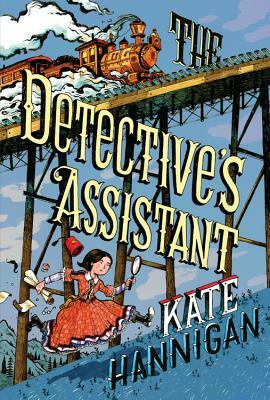 -- And Your Chance To WIN a copy! Lee: Congratulations on The Storytellers winning the 2015 SPARK Award! Please tell us about your award-winning book! Laurisa: Set in the early 1990s, 12-year-old Elena Barrios' father has AIDS. Rather than face certain ridicule and ostracism, Elena tells her friends anything but the truth, fabricating stories about him being a writer and researcher. But the reality is Elena resents her father’s illness and can’t face the fact that he is dying. When Elena is befriended by an older woman named Ang, who tells stories about her own father and the history of prejudice against African Americans in the years before the civil rights movement, Elena is transported into these stories, allowing her to experience them first hand.With Ang's help, Elena gains the courage to stand up to the bully at her school, mend her relationship with her father, and finally say goodbye. Lee: What's the story behind the non-traditional publishing of The Storytellers? Laurisa: The idea for The Storytellers began twenty-two years ago while I was working at Huntington Hemophilia Center in Pasadena, CA. The office was also an AIDS clinic, and its doctors were on the cutting edge of developing treatments for the disease. In the early 1990s, there was a huge stigma attached to HIV and AIDS, and society's pervasive fear and ignorance often led to victims of the disease being ostracized. Working in that clinic allowed me to see the human side of AIDS. Men and women, fathers, mothers, children. I saw the devastation of AIDS in their faces. My mother taught me that every person has value; every person has a story. I knew I had to tell their story. I began writing the book in 2007, and it took eight years and more than a dozen drafts to complete. I worked with a leading developmental editor and several beta-readers to get it right. Yet submissions resulted in nothing but rejection. One agent even replied by saying, "Why would today's kids want to read about AIDS in the 90s? It doesn't apply to them." This took me off guard. To me, she was essentially saying that people being mistreated thirty years ago is of no interest to today's generation. But if that is true, why do authors still write about the Holocaust, or the Civil Rights Movement, or slavery? Since there didn't seem to be a place for The Storytellers in the traditional marketplace, I decided that I would self-publish it. It didn't matter to me if a single person ever read it, this story deserved to be told. And if I was going to tell it, I was going to create the best quality book I possibly could--not because I hoped to sell it, but for the sake of the story itself. Lee: What do you see as the biggest challenge of publishing outside the ‘traditional publishing’ structure? 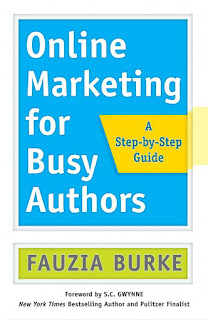 Laurisa: I think the biggest challenge to self-publishing is the temptation to cut corners and minimize costs in a book's production. As the Editor-in-Chief of Middle Shelf Magazine, thousands of books crossed my desk, including titles from the biggest houses, indie publishers, and self-publishers. The biggest problem I saw with too many self-published titles was their sub-standard quality. The covers were often amateurish, and the texts were in dire need of professional editing. It's a shame because many of the stories were great, but when a book screams "self-published," who wants to open the cover and read it? This is not meant as a criticism but as a wake up call. When it comes to adult and young adult self-published books, it's often hard to distinguish them from traditionally published books. 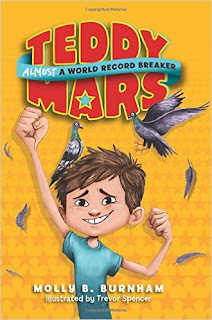 I would love to see self-published middle grade books reach that same level of quality. This is one reason why I founded Skyrocket Press, a cooperative publishing venture that connects authors to professional artists, editors and designers, so that the end results are top quality books. Lee: What’s the biggest advantage? Laurisa: Control. Of everything. 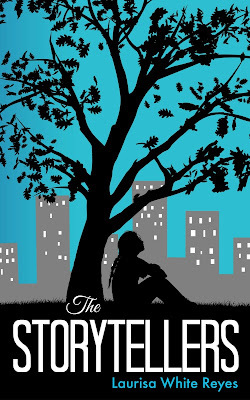 For example, I had an idea of what I wanted the cover of The Storytellers to look like, but I don't have an artistic bone in my entire body. 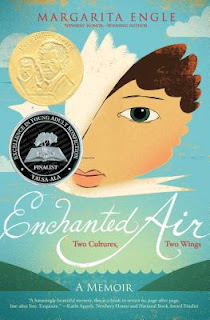 So first, I researched other middle grade books with silhouette covers. Then I hunted for the right artist. I found Jessica L. Barnes via her Etsy shop, iillume, and hired her. The result was exactly what I'd hoped for and more. With self-publishing, it's important to distinguish the difference between being in control and doing it all ourselves. Being in control means we, as the authors, have the final word on how the book is executed. But we can't and shouldn't do it all ourselves. To create a quality book requires teamwork, just like in traditional publishing. Lee: Anything else you’d like to share? Laurisa: Receiving the Spark Award came as a huge shock (I can still hardly believe it), but it also validated my decision to self-publish The Storytellers, a story that didn't quite "fit" in the traditional publishing world. I am deeply grateful to those who had a hand in bringing it to life: Jessica Barnes, Katie Reed, Deborah Blum, Dorine White, Cheryl Sena, Carissa Reyes, Pat Brown, and Emma Michaels. And of course, I'm so thankful to SCBWI, not only for choosing The Storytellers for the Spark Award, but for also being my biggest support through every stage of my writing career. 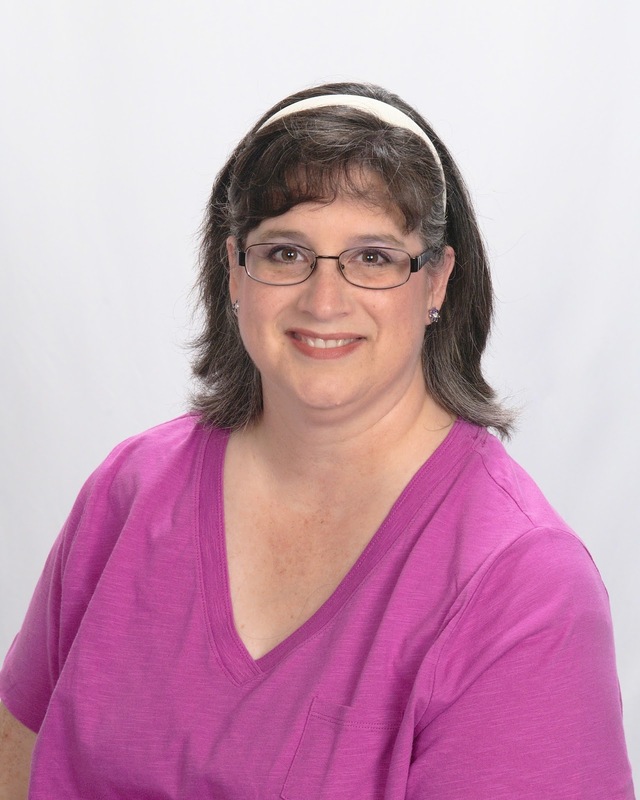 To find out more about Laurisa and The Storytellers, visit Laurisa's website here. 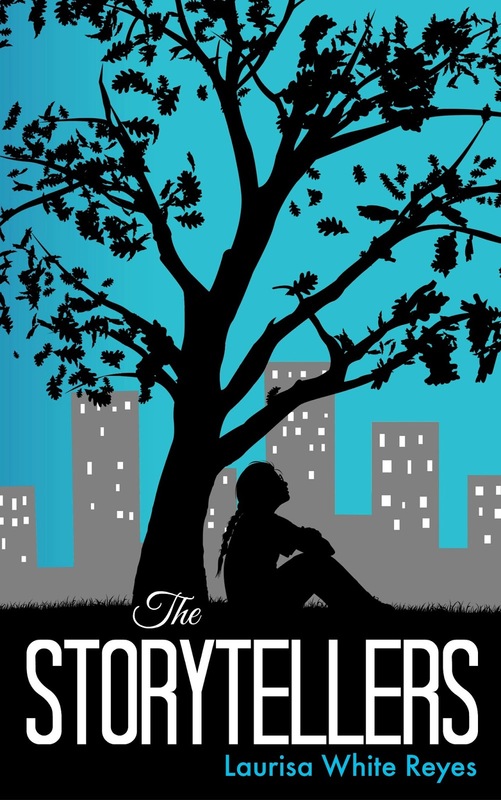 Want to win a copy of THE STORYTELLERS? Leave a comment in the next two weeks, and we'll randomly select a winner! About two years ago, while in the midst of a book signing, the owner, who was a friend, asked if I would be interested in working at one of their discount bookstores. When I asked what I would be doing, she replied, “Everything.” With a deep-rooted passion for books and three boys in college, I saw it as a nifty way to help fill the coffers. I accepted. Little did I realize the impact that job would have on my work. (And, as my husband would later point out, on my earnings. After a while, I could hardly afford to work there anymore even with my employee discount!) But as far as lessons, the job couldn’t be beat. 2. Characters, especially licensed characters, are tough to beat. This is even more the case for easy reads. If those characters appear in a series, so much the better. And so often humorous traits trump super powers. 3. To my surprise, seasonal books are not as big a seller as you would expect. Who buys the ground hog and valentine books? Predominantly teachers and grandparents. 4. Book signings have lost their novelty. These days a book event has to be extremely well-planned and offer something unusual to be a success. And although you might expect a panel of authors to bring in more people, often that is not the case. If you’re planning a store event, it’s best to figure that you’ll have to bring in the bodies. And nothing is more annoying than a pushy author or a prima donna. Remember, a book signing should be of mutual benefit. 5. Never underestimate the power of hand-selling. So often people come into a bookstore unsure what to buy and will go with the recommendation of a knowledgeable bookstore employee. All the more reason to get to know your local booksellers—not as an author, but as a customer. What more can you do to introduce yourself to the staff? Offer to do a reading. Many stores feature a regular storytime. Come up with a simple craft and offer to read your book along with a couple others. The store will love you. BONUS: And if you are looking to buy a children’s book and need a recommendation, it’s the ex-librarian, or moon-lighting author who will be your best bet. They will be the person tucked back in the kids’ section waffling over which books to buy with their next paycheck. And yes, that was me. 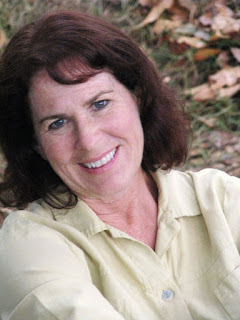 Mary Ann Fraser is the author/illustrator of over sixty fiction and non-fiction books for children, including her latest picture book, NO YETI YET (Peter Pauper Press). Other titles include HEEBIE-JEEBIE JAMBOREE (Boyds Mills Press), the OGG & BOB books (Two Lions) TEN MILE DAY (Henry Holt), and WHERE ARE THE NIGHT ANIMALS (HarperCollins). 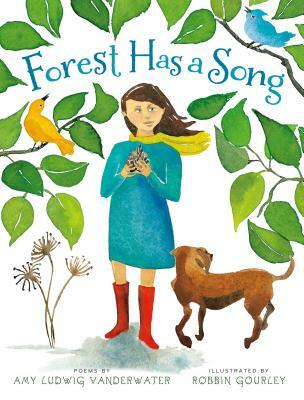 Her books have received a Junior Library Guild Selection, School Library Journal Best Book of the Year, Book Links Book of the Year, IRA Young Readers Choice Award, and American Booksellers "Pick of the List." She is a regional advisor for SCBWI, and a member of the California Readers Association, Children’s Authors Network, and the Children’s Literature Council, and when she is not writing, illustrating, or giving school presentations, she is painting murals, playing her hammered dulcimer, or in her garden talking to her turtles. To learn more visit www.MaryAnnFraser.com. The 2016 Golden Kite Award, Sid Fleischman Award and Lee Bennett Hopkins Award Winners! Here are the winners! 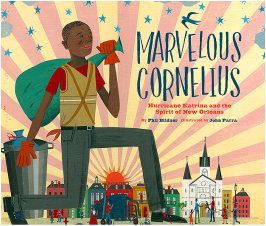 Look for interviews with them here in the coming months, leading up to the 2016 SCBWI Summer Conference in Los Angeles, where they will be honored--and we'll get to hear them speak when they accept their awards! 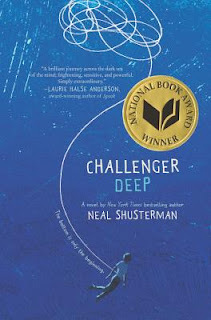 Caden Bosch is on a galleon that's headed for the deepest point on Earth: Challenger Deep, the southern part of the Marianas Trench. Alternatively, Bosch is a brilliant high school student dealing with schizophrenia...and as fantasy and paranoia begin to take over, his parents have only one choice left. 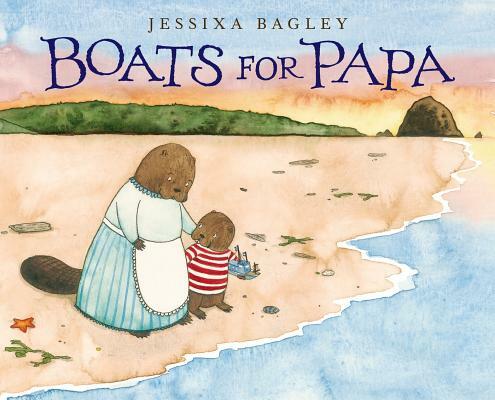 In this stunning debut, author/illustrator Jessixa Bagley explores the subtle and deep emotions associated with loss in a heartwarming tale about a boy, his mother, and the boats he carves for an absent father. 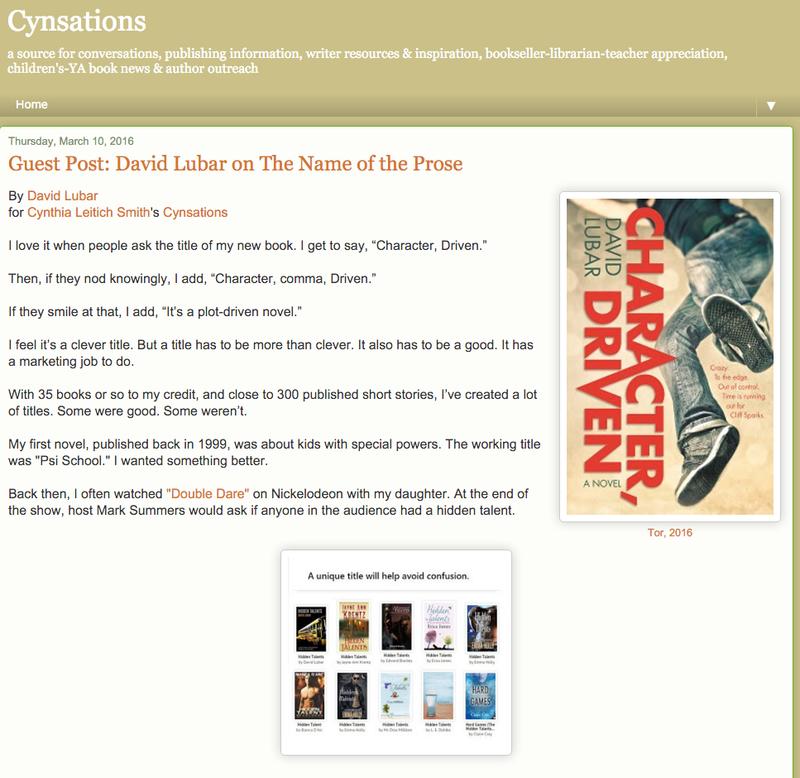 David Lubar recounts the ins and outs of the titles he's used for his books -- sharing what he's learned along the way. While we authors don't always get the final say on a title, there's always a working title, and if we nail it, we've got a much better chance of it sticking. This article is a great place to start running your working title through its paces. Thanks to David and Cynthia! The last three days flew by, with so much great information and insights. One slide (of many) sharing some fascinating information about our industry from Data Guy. 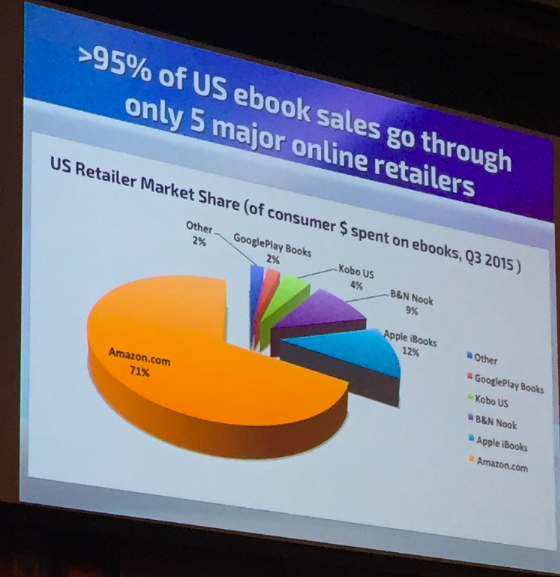 As shelf space for books shrinks, Amazon, Apple, Facebook and Google become more important. $50 billion has moved from content owners to platform owners. If we know a small handful of the right customers (i.e., readers) we can know their influencers, their social media habits. Survey them. Clone them. Leverage attention by contributing to platforms where they already are. Google drives seven to ten times more traffic than Facebook. Get excited about failure... Do experiments, test your hypotheses. There's an opportunity for publishers to give debut authors different (lower) pricing so they can find their audience. Facebook is the most successful thing ever, with 2.3 billion people. They're "giving us the ability to love at scale." 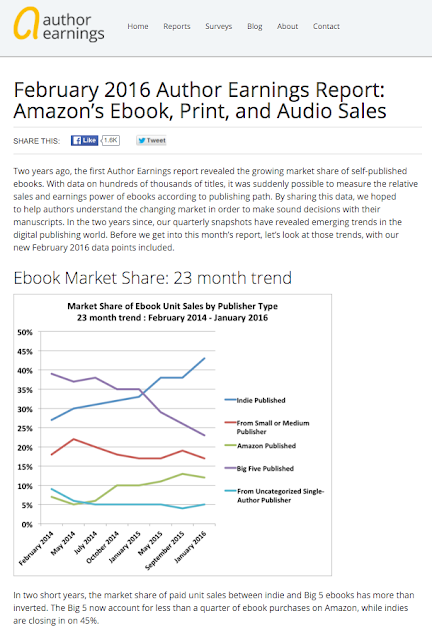 "The ebooks revolution was driven by women. Sorry, guys." "It doesn't hurt to go very narrow." When you try to go broad, nobody feels like this is for them. "The more relevant you can make the content, the better it's going to do." 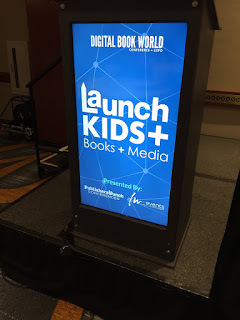 I just attended Digital Book World and it's Monday Launch Kids conference, and it was a great experience. 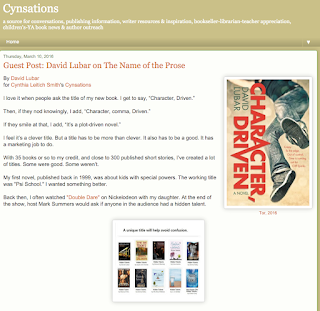 There was so much information, insight, and engagement with the process of how all of us in the world of Children's Literature are dealing with the digital changes afoot, that I've broken it up into two posts. It's additive. An "and" transformation, rather than "or." Kids prefer print to digital. Kids love to share, which is harder to do in digital. Children's is going to be THE growth market... Juvenile nonfiction will be THE growth category for the next 4-5 years. "We have not figured out the secret sauce." Jenny Han (New York Times Bestselling Author): "
"I'm in driver's seat with social media." "The kids in kindergarten this year have NEVER been alive without tablets" and will have "fundamentally different expectations of technology." "Focus on engagement rather than # of followers." "If you get engagement, the #s will grow." "The number one thing teens want "is to know someone is listening... that they know we care what they think about books. 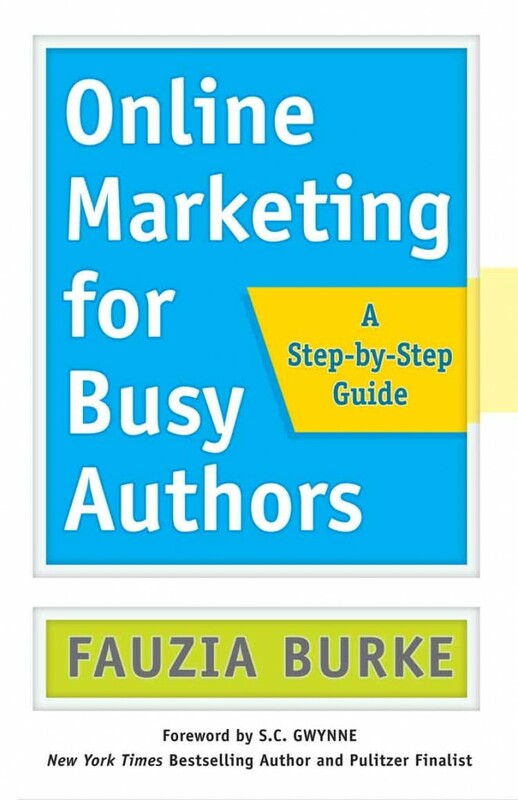 "If discovery through search matters, giving up on author websites is a big strategic mistake." "Nothing has gone away and everything has been added." More great highlights of #DBW16 in tomorrow's post! ps - sorry this Tuesday post is late... the conference was a busy time! 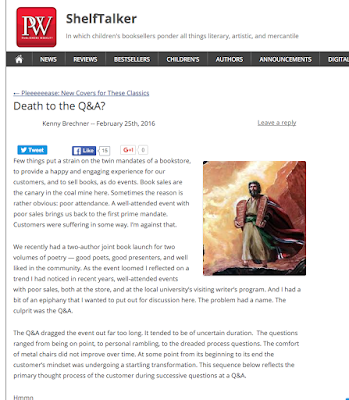 Kenny Brechner's February 25, 2016 piece in PW's ShelfTalker, Death to the Q&A, was really interesting, how they flipped the traditional order of their book event to avoid what Kenny had observed, that "The customers’ energy and goodwill evaporates during the Q&A so that at its end, instead of staying to wait in line, chat, and buy a book, they run for it." What's your take on the "best" order for book events? What yields, as Kenny puts the dual goals for both stores and book creators, "a happy and engaging experience for our customers, and to sell books..."? Put together by "Data Guy" and Hugh Howey, Author Earnings' purpose is "to gather and share information so that writers can make informed decisions. Their secondary mission is to call for change within the publishing community for better pay and fairer terms in all contracts. The website is by authors and for authors." It's a fascinating resource, with graphs, charts and explanations "for our fellow geeks" and even translations "for the non-geeks." A recent favorite: "Our data-science awesomesauce now tastes even better." That was for the non-geeks, clearly! The numbers and trends are revealing and thought-provoking. 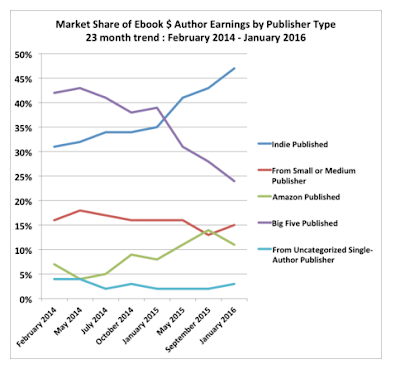 Like this February 2016 report with its chart showing "Market Share of Ebook $ Author Earnings by Publisher Type," from February 2014 through January 2016. "In two short years, the market share of paid unit sales between indie and Big 5 ebooks has more than inverted. The Big 5 now account for less than a quarter of ebook purchases on Amazon, while indies are closing in on 45%." "Publishing independently is no longer a fallback choice for authors in today's market --- it may even be a far superior choice for most now," says Data Guy. "What was good career advice even a year ago might be poor advice today. Every author, however they choose to publish, should educate themselves about the new shape of the market and make career choices that are informed by up-to-date data on our industry." 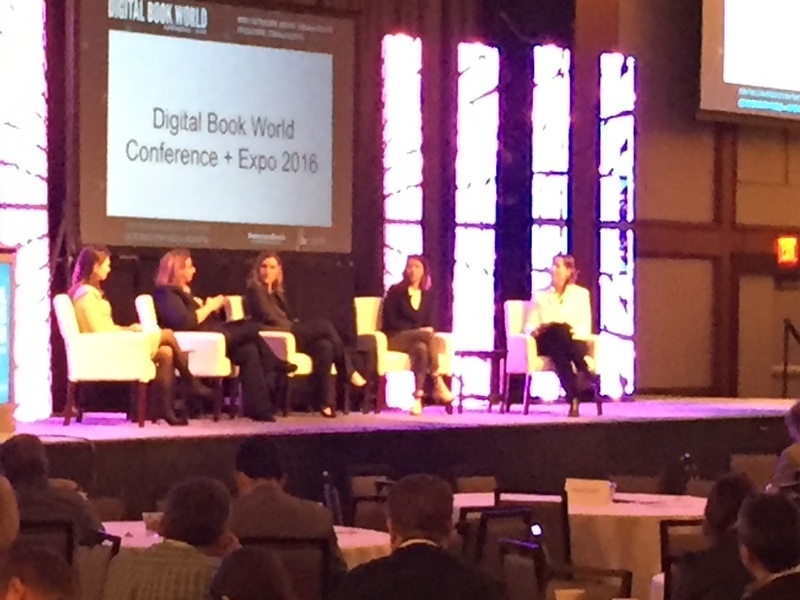 The focus of #DBW16 is how to not just survive, but thrive, through publishing's digital transformation. 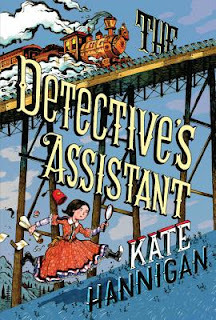 I'll be in New York for their Monday March 7th Launch Kids Children's Books and Digital Media Conference, and then the Tuesday and Wednesday of Digital Book World. "...a brand new Nielsen survey of the children’s market, a conversation between bestselling author Jenny Han and Tumbler’s Rachel Fershleiser, and some great panels on brands, startups, and how schools and libraries can work together." 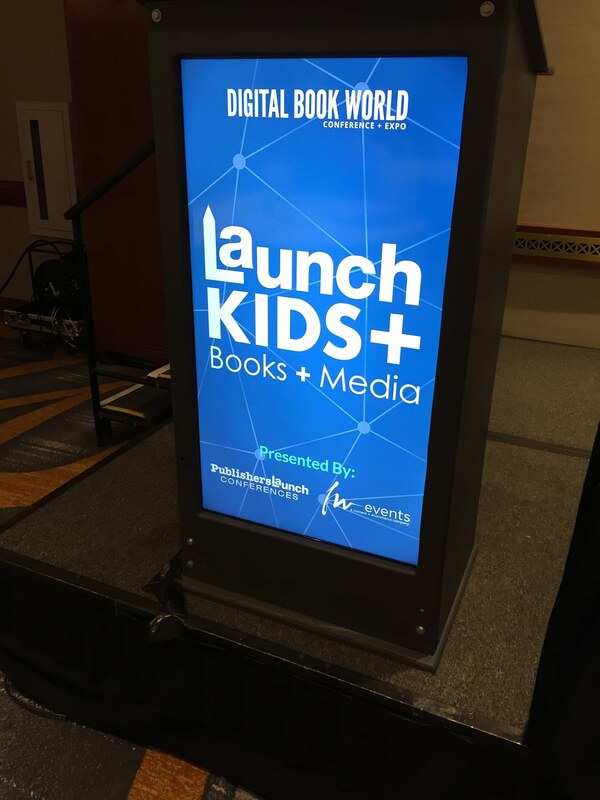 Lorraine also wrote about some of the changes the digital world has had on children's books in this article, Digital Book World's Launch Kids: Looking Forward and Back. The #DBW16 Faculty are a who's who, and you can read my pre-conference interviews with with Christopher Kenneally, Peter Hildeck-Smith, Jane Friedman, Kristen McLean and Lorraine Shanley here and with Stephen Blake Mettee and Kevin Franco here.